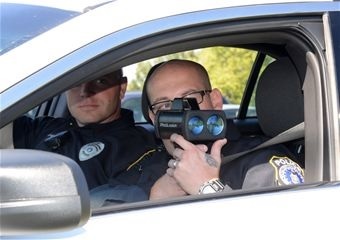 Radar guns used by the police to detect and catch over speeding drivers are now familiar to you. As they ease up the law enforcer’s efforts in detecting and catching over-speeding cars from a distance. The drivers often receive speeding tickets when nabbed. However, the ever-advancing technology is now looking forward to introducing radar guns that will help nab drivers who text while driving. Most drivers won’t be big supporters of this new development. However, we can all agree that with the introduction of this device, Georgia’s roads will be much safer. How Does the Text Message Detecting Radar Gun Work? Developed by ComSonics, a company based in Virginia, this radar gun can specifically help detect and catch drivers who are texting while driving. The device will be able to detect and distinguish the varying radio frequencies discharged from a cell phone in a passing car. Phone calls, data transfers and text messages emit varying frequencies that the device can recognize. The gun will be crucial as most states ban text messaging but allow hands-free or handheld calling. For instance, in Georgia adults are allowed to make calls while driving, but texting while driving is illegal for everyone. Are There Potential Shortcomings In its Working? Of course yes. Several questions have been raised regarding the effectiveness of the gun. For example, what happens in case you are sending a hands-free text message using the voice-to-text technology while driving and the machine detects the texting radio frequencies? Do you still get a texting ticket? And what if the passenger was texting and not the driver? If the technology cannot distinguish this then it might only be useful in monitoring solo drivers. Another question is about your privacy; do the authorities get to read your text messages? Fortunately, ComSonics are saying that the radar gun doesn’t have the capacity to show the contents of the message. So, for now, we can assume that our messages will be safe. How Long Before it’s In the Hands of the Police? A date hasn’t been set yet but it doesn’t look like it will be too long. ComSonics, the company developing the gun say they are close to releasing it. Once it is released, legislators will be allowed to debate over its effectiveness. If it passes that stage, it will be handed over to law enforcement officers for final approval after which you can expect to see them on the roads. Most, if not all drivers using cell phones while driving, are likely to cause fatal car accidents leading to serious injuries and sometimes death, not to mention the loss of property. Statistics show that most road fatalities are committed when the driver is engaged with his/her cell phone or under influence, hence not fully concentrating on the road. As an experienced personal injury attorney from Atlanta, Georgia, Bruce A. Hagan urges you to avoid using your cell phone while driving. In the event that you get involved in a car crash with a distracted driver, you may be eligible for full compensation. From bodily injuries to car wrecks, the person at fault must take responsibility for their carelessness. Hagen and Rosskopf based in Atlanta, Georgia has represented victims of road accidents for more than 25 years. Contact the law office of Hagen and Rosskopf, LLC today for a free case evaluation.